Broken, lonely and terribly ill, the Butcher of Amritsar was plagued by doubt till his death. Dyer funeral church: All Saint's Church in Long Ashton where Reginald Dyer's funeral was held. This was Dyer's parish church which is less than a mile from his cottage. Dyer was accorded a second military funeral as well in St Martin's in the Fields in London. Soon after this funeral service, his body was cremated in Golders Green in London. 1925, Somerset, England. A couple bought a lease, moved in and settled into quiet life in a small village on the outskirts of Bristol. The cottage was chosen with great care — away from prying eyes, the debates in parliament, a raging court case and a thirsty media-led fundraising campaign which had hounded Reginald Dyer and his wife Annie since the fateful evening in Jallianwala Bagh six years ago. April 13, 1919, Amritsar. This was Baisakhi Day. That evening, a little after 5 pm, Brigadier General Dyer had ordered his small troop of soldiers to fire indiscriminately and without warning at a crowd of more than 20,000 people — men, women and children — who had gathered at Jallianwala Bagh. The exits were few, narrow and many were blocked. The firing continued for 10 minutes — all of 1,650 rounds — and stopped only when the ammunitions were nearly exhausted. Many jumped in a well, others died in the stampede. When Dyer and his troops left, curfew fell. Many of the injured died through the night. The official death toll was 379 but given the size of the gathering, the actual toll could well have been over a thousand. Dyer impact: Dyer never for once doubted his actions that evening in any public statement. The massacre at Jallianwala Bagh went down as the single-most horrific incident that changed the course of Empire history and the subsequent public scrutiny in Britain and India polarised public opinion and wrecked the life of its chief perpetrator. 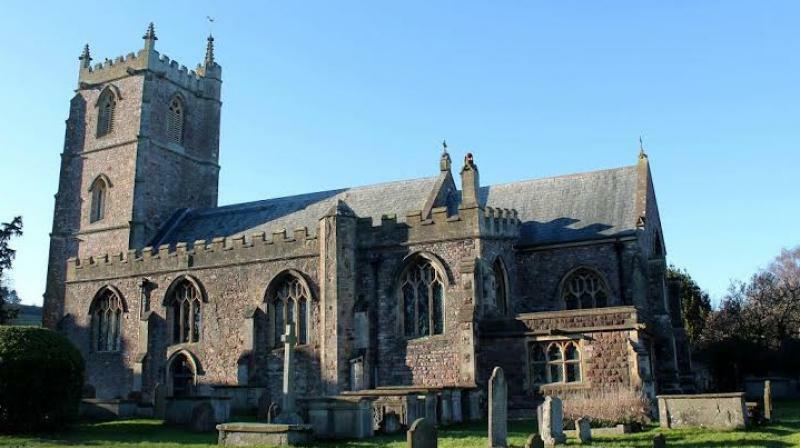 By the time the couple quietly moved into their Somerset home, Dyer was a broken man. Dogged by ill health, severely criticised by the Hunter Committee in its report in 1920, removed from his job and packed off to England, Dyer always maintained his “intention to fire if necessary”. He never for once doubted his actions that evening in any public statement. Yet, he changed his version of the story several times. Dyer somerset cottage: The Somerset cottage where Dyer spent his last days. However, along with the censor, came the adulation. Dyer returned to huge applause in his own country. It wasn’t just the House of Lords that heralded Dyer a hero, but many celebrated Britons supported him too, including the author Rudyard Kipling. On the morning of July 8, 1920, when the debate opened in the House of Commons where Winston Churchill, Secretary of State for War called Dyer’s actions “monstrous”, the Morning Post opened a fund for Dyer. In the next five months, money poured in thick and fast from all corners of the Empire. The rich, the poor, the clergy, the Army from Calcutta to Colombo contributed. Books, jewellery and stamps were sold to raise funds as well. Kipling contributed and so did the Duke of Westminster. Many British Indian newspapers also took part in the fund-raising — the Calcutta Statesman, the Rangoon Times and Press, the Madras Mail, the Englishman. When the fundraising closed, the total stood at £28,000. 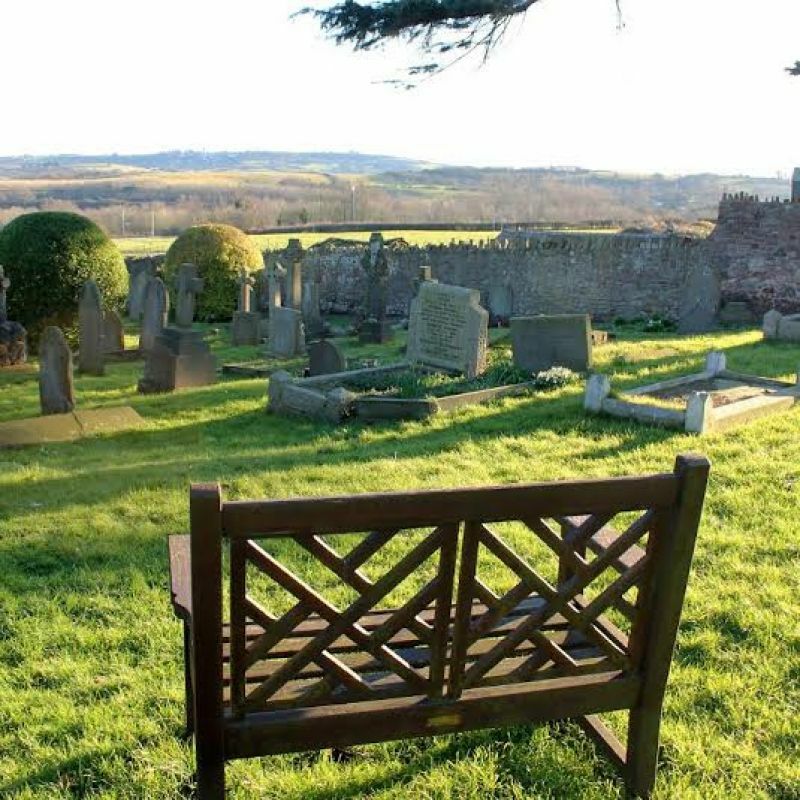 Dyer church courtyard: All Saint's churchyard in Long Ashton near Bristol looking out towards the Somerset countryside. This view hasn't changed much since Dyer's days. 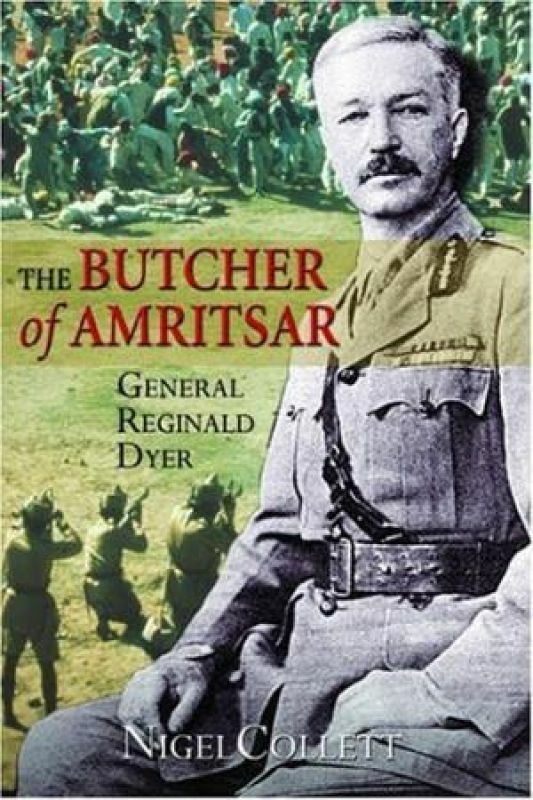 In his book The Butcher of Amritsar, Collett writes the editor and the owners of the Morning Post wanted a public presentation of the cheque to Dyer so they could make “as much political capital of the funds as possible”. But the Dyers refused. “It is possible that he could not face any more publicity at so early a stage. Annie may have feared for the damage the excitement might do to her husband’s health,” Collett writes. However, despite the funds and the huge public support that came with it, Dyer wasn’t a happy man. At Harrogate, he had been diagnosed with “arteriosclerosis” for which the only cure was rest. The slightest hint of excitement could induce a heart attack or stroke. But that was not all that was troubling Dyer. Although he was widely known as “General Dyer”, in reality he was not so. He was only a temporary Brigadier-General and when he lost command of the Fifth Brigade, the rank went too. He was now merely a Colonel. On January 25, 1921, he wrote to the War Office asking to keep his honorary rank. Edwin Montagu, the Secretary of State for India, turned it down on the grounds that it would be viewed not only as a reward for Dyer, whose “service was marred by a blunder” but also as “a new provocation to India”. Churchill, who was by now at the Colonial Office and who had earlier labelled Dyer’s actions as “monstrous”, however, supported Dyer in his claim. But in the end Montagu won the day. Dyer was denied his honorary rank of Brigadier-General. He remained a Colonel for the rest of his life. In many ways, Dyer was a strange case. As an Army man, he held strong prejudices against the civilian, prejudices that coloured his wildly exaggerated motivation to fire without warning against an unarmed crowd at Jallianwala Bagh. Born in Muree and raised in Simla amidst considerable wealth and a large family, Dyer spent much of his childhood running wild in the hills with his sisters, riding the dhobi’s donkey, catching snakes and walking the few miles every morning to Bishop Cotton’s School. At home, his mother Mary was a formidable presence and his father Edward was often away on business. This childhood idyll came to an abrupt end at the age of 11 when Dyer and his older brother Walter were sent out to school in Ireland. The Dyer boys in their “sola topis and khukuris” and their “Indian ways” were a major curiosity in the boarding school Middleton College. School life for the brothers in these early years was miserable. Dyer even spoke with a stammer — an inheritance from his mother — for which he was much bullied. But like his mother, he laboured at it and by the time he left school, the stammer had left him too. Then followed a stint at the Royal Military College at Sandhurst, where he fared better than Winston Churchill (some years his junior) in the entrance examinations. Since returning to Britain in 1920, the Dyers lived in a dairy farm on the outskirts of Ashton Keynes in Wiltshire with their son Geoff. Their other son Ivon was in the Indian Army. Here in the social circles of Gloucestershire and Cirencester, the Dyers had a few close friends. With Geoff’s help, they even travelled a little. In 1925, they left the farm to Geoff and moved south-west to Somerset to the village of Long Ashton. The cottage was carefully chosen for its secluded aspect and its relative isolation even from the surrounding village. “It was a place Annie seems deliberately to have chosen as a refuge from the world,” Collett wrote in Dyer’s biography. Geoff and his wife Margaret and sometimes the grandchildren from India would come and visit. But his days were mostly slow and quiet, spent sitting out in the garden. By now, Dyer had quietly slipped away from public view. Dyer died at home of arteriosclerosis on Saturday, July 23, 1927. Dyer had two funerals. The first, at All Saint’s Church in his village. The second, a full military funeral in London at St Martin’s-in-the-Fields. Immediately after the London funeral, his body was taken to Golders Green cemetery where he was cremated. The cottage where Dyer spent his last days was difficult to find at first. There is no proper entrance from the main road. At the end of a cul-de-sac next to some dead hydrangea and a thorny hedge, there is an almost concealed, winding path. It leads to a back garden and some outbuildings of the house in front. At the end of this garden, there is another narrow opening, which finally leads to the cottage. 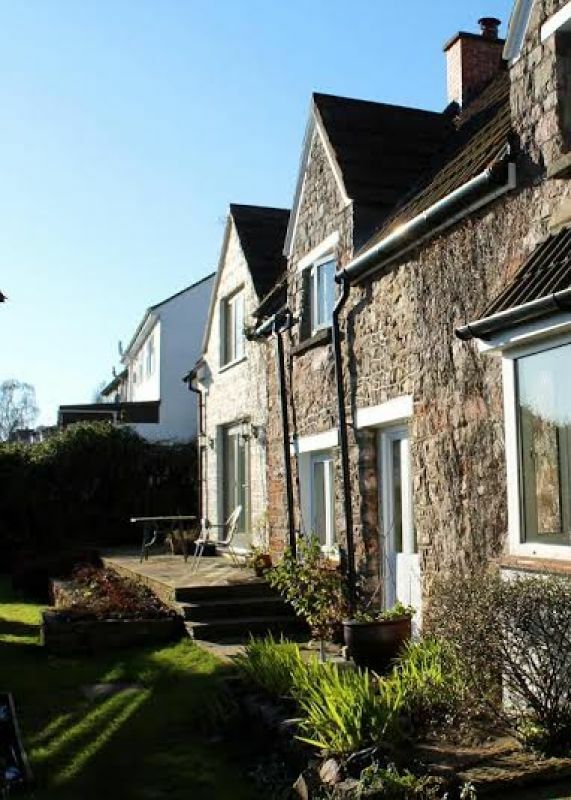 The cottage sits on top of a hill overlooking the open expanses of the Somerset countryside. “Did you know that General Dyer lived here?” said the owner. “That narrow path you came up, the cortege went down the same way. Today only the postman comes up that lane.” In Dyer’s time this was the front entrance. Today the present owners have turned their back on it.